Reminder Update: I originally posted about this deal on Friday. Here’s a reminder that it’s still available to buy today. At the time of this post, they have already sold over 35+ vouchers so don’t miss out! DealFind has a very hot deal to Clinique Modica MediSpa today. For only $249, you can get 1 year of Unlimited IPL Hair Removal Sessions on 3 Body Parts of Your Choice ($3,500 Value)! That’s a savings of $3,251 or 93% off! You may buy up to 2 vouchers for yourself and unlimited as gifts & the vouchers will NEVER expire. You may buy 2 vouchers and combine them to treat 6 body parts. This is a limited 4-day only sale that will expire at midnight on Monday, October 10, 2011. Click here to buy now or for more information about the deal. Quantities are limited so don’t miss out! Buy up to 2 vouchers for yourself and unlimited as gifts. Limit 2 vouchers for personal use. By appointment only, please call 514.907.5900 for bookings. 24 hour cancellation policy or voucher is voided. Voucher expires one year after first appointment. Voucher to be used by the same person for the same 3 body parts for the entire year. Package includes 1 year of unlimited IPL hair removal sessions on 3 body parts of your choice. Must wait a minimum of 5 weeks between treatments on the same body part. May combine vouchers for 6 body parts. Not valid for tax. No cash back or credit. Not valid with other offers. Cannot be redeemed before Tuesday, October 11, 2011. Clinique Modica MediSpa is committed to serving you and making you feel great about yourself and your body. Don’t let your unwanted hair force you into early hibernation this summer, take a stand and receive the benefits of having a super smooth surface where it really counts. For Women Only: upper lip, cheeks, chin, sideburns, nape (back of neck), throat, ears, nose, underarms, upper arm, forearm, upper thigh, front lower leg, upper abdomen, lower abdomen, gluteal crease, fingers, hands, toes or top of feet, sternum, aereola, belly button, bikini line, Brazilian, abdomen side strips, hip side strips or treasure trail. Men Only: shoulder (right deltoid or left deltoid), stomach line, chest (left pectoral or right pectoral), upper back (left quadrant or right quadrant), or lower back (left quadrant or right quadrant), shin, knee, top of feet, upper thigh, outer thigh, inside of thigh, lower arm from wrist to elbow (2 parts), upper arm from elbow to shoulder. This is a limited 1-day only sale that will expire tonight at midnight (Sunday, October 9, 2011). Click here to buy now or for more information about the deal. Quantities are limited so don’t miss out! Open every day 10 a.m.–3 a.m.
Limit 2 per person. May buy 2 additional as gifts. Limit 1 per table. Located a few steps from the city center, Le Drugstore’s multiple floors make a lively, neon-lit backdrop for an evening filled with hearty bar fare and pitchers of draft beers such as Blanche de Chambly, Sapporo, and Sleeman Honey Brown. 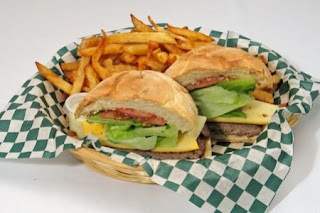 At J’M la Frite restaurant, hungry stomachs soothe themselves with the chef special burger, and their owners chew the regular poutine’s cheese curds to the beat of surrounding music. Guests can test their skills at the pool table and on the dance floor, or gaze at the city lights from the rooftop. Multicolour neon lights and wire-and-steel decor give an industrial feel to Le Drugstore’s expansive floors with adjoining terraces. Hollister has a sale where you can save 25% off your entire purchase (excludes flagship exclusives and redlines). This sale is valid in-stores and online and goes until Wednesday, October 12, 2011. If you’re shopping online, enter the promo code 30174 at checkout to get the discount. 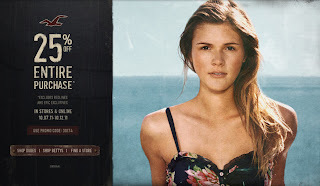 Since the same company also owns Abercrombie & Fitch, they are offering the exact sale. Click here to shop Hollister now or for more information about this sale. Abercrombie & Fitch has a sale where you can save 25% off your entire purchase (excludes flagship exclusives and redlines). This sale is valid in-stores and online and goes until Wednesday, October 12, 2011. If you’re shopping online, enter the promo code 10149 at checkout to get the discount. Since the same company also owns Hollister, they are offering the exact sale. Click here to shop Abercrombie & Fitch now or for more information about this sale. Old Navy’s Facebook page has a coupon where you can get $10 off when you spend $50 or more in-store. The coupon is valid until Thursday, October 13, 2011. 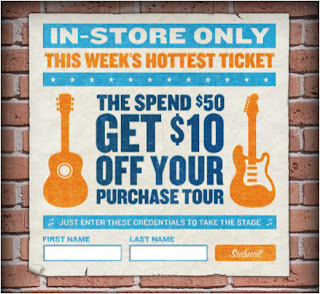 To get the coupon, click the link below to visit Old Navy’s Facebook page and enter your name. After you enter your name, it will automatically generate a coupon for you. Then, print the coupon and bring it to a Old Navy store to redeem. Click here to visit Old Navy’s Facebook page to get the coupon or for more information about this sale. Reminder Update: I originally posted about this deal yesterday. Here’s a reminder that it’s still available to buy today. This deal is a hot seller! At the time of this post, they have already sold over 200+ vouchers so don’t miss out! 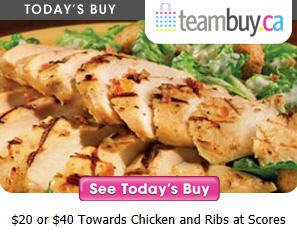 Take the family out for some tasty chicken and ribs with today’s TeamBuy deal to Scores Rotisserie. For only $10, you can get $20 worth or $19 for $40 worth to spend on food and drinks. That’s a savings of 50%! You`re allowed to stock up on the deal as you may buy 5 vouchers for yourself and unlimited as gifts and the vouchers don’t expire until February 14, 2012. This is a limited 3-day only sale that will expire at midnight on Sunday, October 9, 2011. Click here to buy now or for more information about the deal. Quantities are limited so don’t miss out! Delicious food, chicken, ribs, and more! Sharpen your teeth, grow your appetite, and make your way to 1432 Ste-Catherine West to enjoy tummy-satisfying food at Scores Rotisserie and Ribs at a very little price with today’s TeamBuy offer. Specialized in chicken and ribs, their top-quality fowls begin their flight to your plate by being air-dried and then seasoned with Scores’ unique blend of aromatic spices. The bird is then slowly roasted while practicing rolling on itself exactly 525 times to achieve the dizziness necessary to produce its amazing taste. You can enjoy the results in many forms, like their famous Quarter Chicken leg ($9.25) or breast ($11.25), or for the courageous appetites the Half Chicken ($12.95) or the Chicken Brochette($14.25). As for the other member of this duet, the ribs also go through their own make-over, which begins by being seasoned with Scores’ fusion of herbs and savors, then cooked with smokehouse aromas for seven hours (the length of a transatlantic flight!) before landing on the grill with Scores’ rib sauce. These also come in a variety of designs, like the Half Back Ribs ($13.95) or the very filling Full Back Ribs ($22.50). For those with botanical cravings, you will appreciate their fresh All-you-can-eat Soup Salad and Fruit Bar where there are as many kinds of salad toppings as you could ever desire, and warm and comforting soups and seasonal fruits and vegetable to enjoy while sipping on your favorite alcoholic beverage to keep you healthy through the harsh hibernation months to come. Reminder Update: I originally posted about this deal yesterday. Here’s a reminder that it’s still available to buy today. Off you go, like a true Montrealer, boldly jaywalking across Peel and Ste. Catherine to get where you’re going. You should appreciate today’s deal as it walks ahead of the curve with a revolution in age-defying technology. 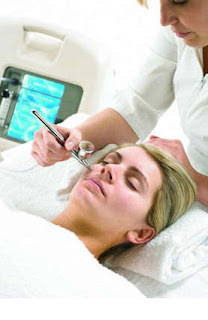 Pay $99 for an intraceutical oxygen infusion from Clinique Laser Zone — the première clinique in Quebec to offer it (regularly $250). This elite treatment is used by Hollywood stars — Madonna has one before every show, and Molly Sims and Heather Locklear have machines in their homes. Used to plump and hydrate the skin, this medical-grade hyperbaric oxygen infuses your skin with nutrients to smooth wrinkles and facial lines as it penetrates into the deeper epidermal layers. This painless treatment promises the same effects as Botox, without the injections. You’ve got the green light to save 60%, just look both ways and take a big step towards a more youthful appearance. Limit one per person, additional as gifts • Appointments are required and subject to availability • Merchant cancellation/re-scheduling policy of 24 hours applies; voucher subject to forfeiture • Entire value must be used in a single visit. • Other conditions apply • PROMOTIONAL VALUE EXPIRES ON October 10, 2012.